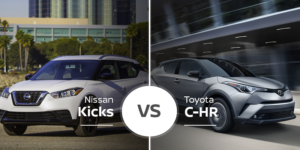 Nissan Versa Vs. Nissan Versa Note: Hatchback Vs. Sedan — Which is Better? In 2014, Nissan split its Versa lineup by introducing the Versa Note hatchback to complement the Note sedan. 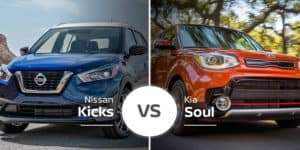 Since then, the Versa and Versa Note have gone through plenty of changes, but which of these platform-sharing siblings is the better buy for our Bradenton, Florida buyers: the 2019 Nissan Versa or 2019 Nissan Versa Note? Keep reading to find out. Though the Versa and Versa Note share a platform and name, they differ in most measurables. Because of their shared platform, they both feature a 102.4-inch wheelbase and 66.7-inch width, but the Versa’s body is 12.4 inches longer at 175.4 inches long. The Versa Note’s hatchback body is 0.9 inches taller at 60.5 inches. The significantly shorter Versa Note will be easier to park in tight spaces, plus all that glass around its hatchback body enhances visibility. Besides varying in size, the 2019 Nissan Versa and 2019 Versa Note have distinct styling too. The Versa is your standard three-box sedan with a newer take on Nissan’s design language. It features a wider grille, newer headlights, and a more mature overall approach. The Versa Note, on the other hand, features the sportier V-style Nissan grille, scalloped door panels, and a flat roofline. Inside, the body-style differences between the 2019 Nissan Versa and 2019 Versa Note result in small variations in roominess. Up front, the Versa offers 39.8 inches of headroom, 41.8 inches of legroom, 48.1 inches of hip room, and 51.7 inches of shoulder room. The sedan beats the Versa Note in legroom by 0.3 inches, but the hatchback body offers an extra 1 inch of headroom and, 0.4 inches of hip room, and it matches the sedan’s shoulder room. The 2019 Nissan Versa’s rear seats offer 36.6 inches of headroom, 37 inches of legroom, 46.2 inches of hip room, and 51.9 inches of shoulder room. The sedan matches the Versa Note’s rear shoulder room, but the Note beats the sedan by 1.4 inches of headroom, 1.3 inches of legroom, and 2.6 inches of hip room. The 2019 Versa offers surprising cargo room for its tiny footprint at 14.9 cubic feet, but the Versa Note’s hatchback design can swallow up to 18.8 cubic feet with the seats up and 38.3 cubes with the seats folded. In terms of appearance, the Versa and Versa Note share their basic design language, but when you break down the styling by trim, there are distinct difference. The Versa boasts a more mature cabin with basic color layouts and a tapered three-spoke steering wheel. While the Versa Note S shares this look, the SV trim gets a light dose of blue in the seat inserts, and the sporty SR trim adds orange highlights and inserts, and a true three-spoke wheel. 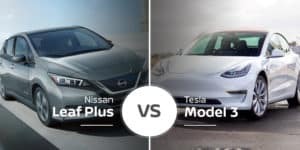 There is not a ton to talk that separates powertrains in the 2019 Nissan Versa and the 2019 Versa Note. Both models come with the same 1.6-liter four-cylinder engine with 109 horsepower and 107 pound-feet of torque, but they vary in the transmission department. The Versa comes standard with a five-speed manual transmission and has an optional continuously variable transmission. The Versa Note, however, comes standard with the CVT. With the CVT, the Versa and Versa Note have the same EPA-estimated fuel economy ratings of 31 mpg city, 39 highway, and 34 combined. 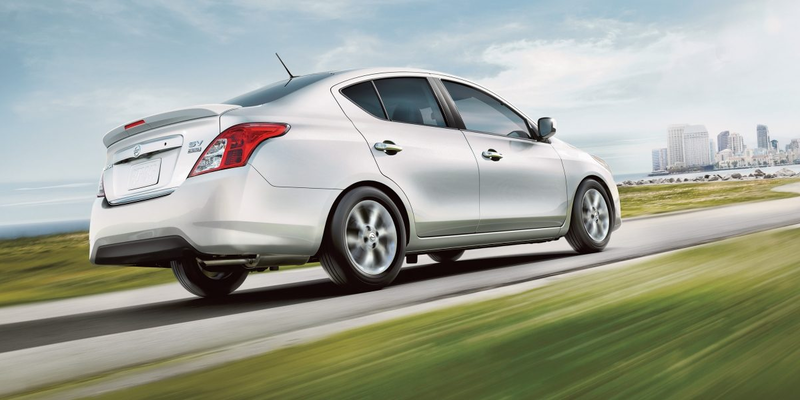 With its standard five-speed manual transmission, the 2019 Nissan Versa takes a big fuel-economy hit, dropping it to 27 mpg city, 36 highway, and 30 combined. 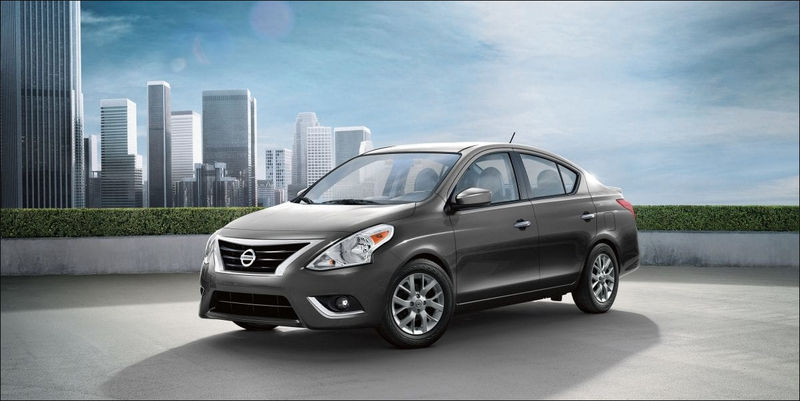 The Versa is available in S, S Plus, and SV trim with prices ranging from $12,360 to $15,990. The Versa Note is also available in just three trim levels, but they include S, SV, and SR. Prices start from $15,650 and rise to $18,360. Who Should Buy the 2019 Nissan Versa? 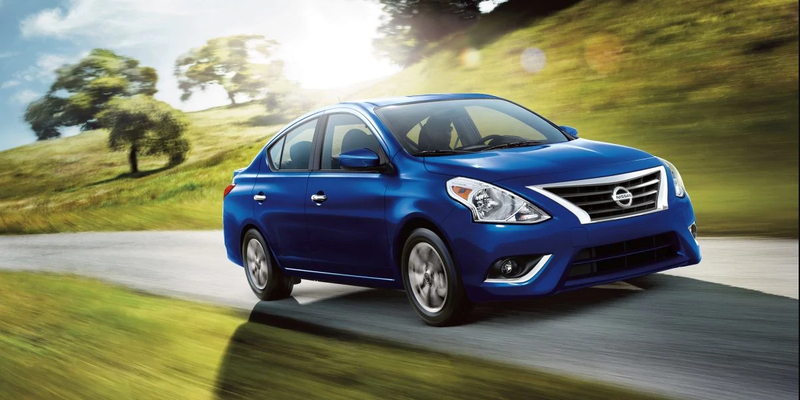 Buyers looking for a traditional sedan will find the Versa’s looks pleasing. Also, the 2019 Versa is the least expensive car on the market, so it is great for tight budgets. Who Should Buy the 2019 Nissan Versa Note? The Nissan Versa Note’s hatchback body gives buyers more passenger and cargo room, making it great for small families or college students. Also, its sporty SR trim adds a dose of attitude the sedan lacks. 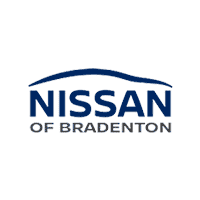 Ready to take the 2019 Nissan Versa or Versa Note on a test drive through the streets of Bradenton, Florida? Come to our new-car showroom serving St. Petersburg, Sarasota, and Bradenton today for a test drive. If you can’t make it in, you can check out our online inventory too. 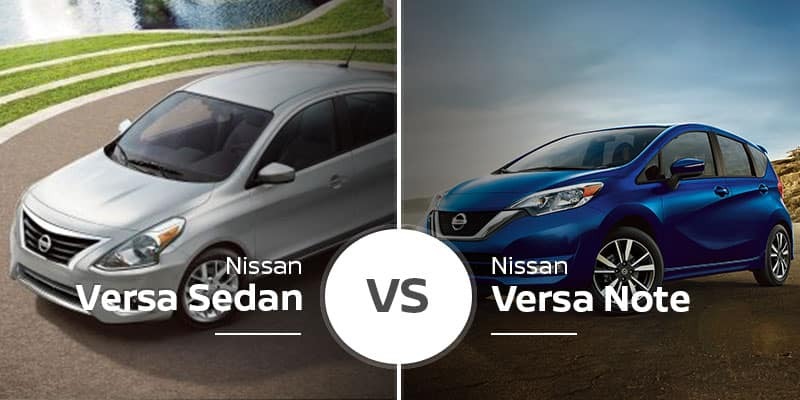 0 comment(s) so far on Nissan Versa Vs. Nissan Versa Note: Hatchback Vs. Sedan — Which is Better?